Ok, you keep hearing people talking about detox, detox and detox. So, what is the big deal anyway? Does this give immediate results? Maybe. But with all the hectic schedules and tempting food pics your favorite food blogger posted on Instagram 2 minutes ago, can you still do the detox? Hmm, probably not. Then, what should you do? Feeling cynical about this juice cleanse? Don't be! Not all juice is created equal. The juice I'm talking about here is NOT your ordinary morning kitchen-made juices made truly by your mbak. This cold-pressed juice contains 5X MORE nutrients (Vitamins, minerals & enzymes), obviously NO preservatives, concentrates, additives and sugar and has smashing taste! How so? Because it uses cold pressed juicer with minimum heat, so the beneficial enzymes remain. Hollywood A-listers like Blake Lively, Miranda Kerr, Jessica Alba are just few names that swear by this juice cleanse. 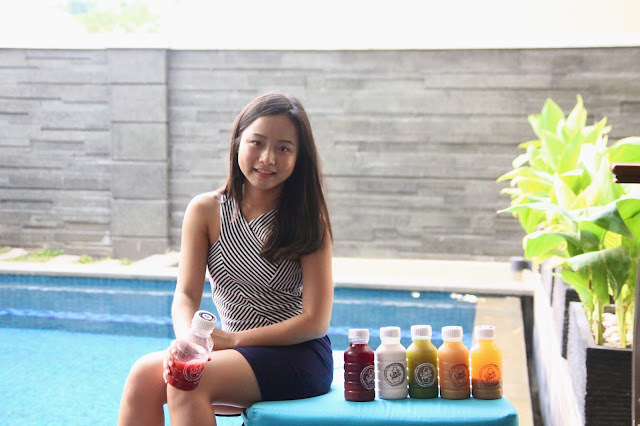 Put the science aside, my biggest problem is finding the REAL cold-pressed juices in in my own hometown, Jakarta. Many stores claimed to have one when it's not, duh! Until one day I discovered COLDPRESS INDONESIA. My search officially comes to an end. 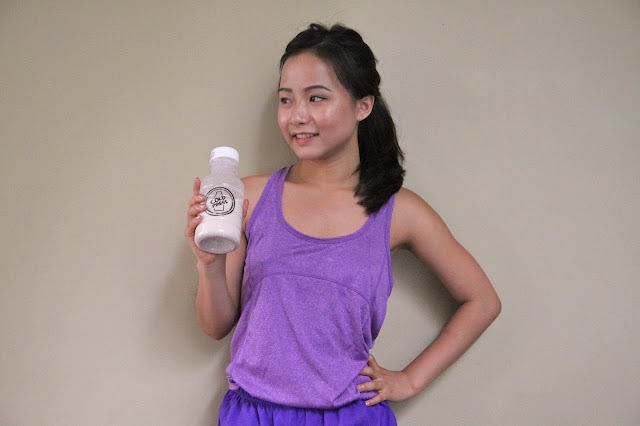 After consulting with the person, I tried their 3 Days Detox Program consisting of 6 tasty bottles per day. So, let's see how this one works! 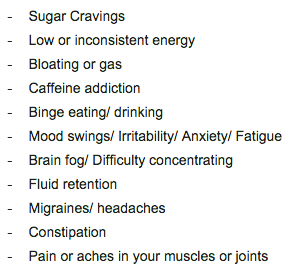 STRICTLY NO ALCOHOL, CAFFEINES, NICOTINE, REFINED SUGAR, DAIRY PRODUCTS, PROCESSED FOOD, ETC.. These six tasty and numbered bottles are meant for one day consumption and Cold Press INDONESIA gave the drink schedule as well, no worry! So for my 3 days detox program I was sent in total 18 bottles of these healthy goodness. My personal faves are Green Boost, Refresh and Citrus Burst! Last day! And the hardest one. I felt like giving up because I didn't have any solid food for days. My craving flied to the roof. That's why I preferred to stay at home to avoid the temptations of sinful desserts. I felt a bit nausea, but it was under controlled. Luckily, the juices taste great. After the 3 Days Detox Program, surprisingly I felt more energized, physically and mentally. The unhealthy craving is gone, my skin is more glowing, no bloating and I (surprisingly..or not) lost 2 KGs in this process. To keep it this way I start by eating small portions of meal consisting of healthy fruits and veggies. 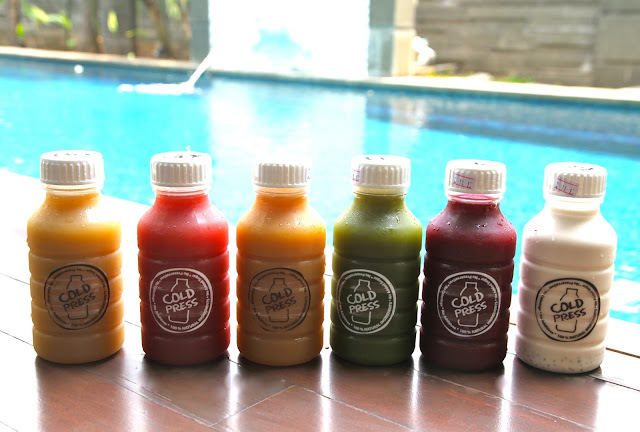 Plus, COLD PRESS INDONESIA has Juice Subscription options that you can try (excluded from detox set). I can't believe healthy can be tasty as well :) Overall, I am very satisfied and impressed with the taste, quality and service. The price may be a bit intimidating for juice cleanse, but trust me it is the best price I've ever seen and plus if you just purchased that cute Chanel purse, why don't invest in something good for your health? I recommend you to give this fun detox a try at least once, so you can see the results yourself or just talk with your friends about it.